Tonette "Toni" Swiggum taught young girls how to move nearly all her life. From her early days as a dance instructor to her time leading the St. Louis Park Parkettes and synchronized skating teams that performed overseas, Swiggum was an energetic instructor who never appeared to get angry and always tried to make her students' experiences worthwhile. 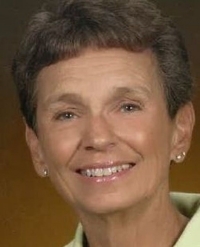 Swiggum, 80, died March 14 after years of battling Alzheimer's disease. "She just led a life that influenced so many people and she had so many talents," said her husband, Bob. Swiggum was born Feb. 18, 1939, in St. Cloud. Her father was athletic director at St. Cloud State University. While in middle school, Swiggum began teaching tap and ballet to children on the weekends. At St. Cloud Tech High, Swiggum was a cheerleader and swimmer on the school team. While still in high school, Swiggum also met Bob, who would later become her husband of 58 years. Swiggum attended Butler University to study dance and music for a year before transferring to St. Cloud State. During the summer of her college years, Swiggum would swim with the Aqua Follies synchronized swim group at the Minneapolis Aquatennial and festivities in Seattle. After she got married in July 1960, Swiggum started teaching middle school physical education at West Junior High School in Richfield before starting a family. In 1971, Swiggum was selected as the director and choreographer for the St. Louis Park Parkettes, which had grown from performing as the cheer squad at Park High basketball games and community events to dancing at the Lakers professional basketball games (until the team moved to Los Angeles in 1960) and dancing as the official cheerleaders for the recently formed Minnesota Vikings until 1984. According to the Parkettes website, Swiggum was said to be "a pert, tiny wisp of energy who could pass for one of the Parkettes herself." The Parkettes mostly had a "girl next door" image at the Vikings games, performing during the game and for halftime shows and traveling for the Vikings' Super Bowl berths. The Parkettes also traveled around the world to places like Panama, Venezuela and Mexico. Swiggum directed the Parkettes for about 14 years before she became a professional ice-skating instructor at Braemar Arena in Edina. She would teach lessons at the arena for about 30 years. In addition to teaching private lessons, Swiggum became the head coach of the Braemarettes (which was later known as Team Braemar), a precision ice-skating team made up of high school aged girls which went on to win numerous honors and would represent the United States in international competitions. Her daughter Pam May, who had been on the team, worked as an instructor for the group as well and later become the head coach with Swiggum as her assistant. "She always liked to give the kids opportunities and memories," May said. "It didn't matter how good they were, she gave everyone a chance." Toni Swiggum had a lasting influence on her daughter Pam, who travels regularly in her job as a coach for the Skyliners Synchronized Skating Team in New York. "Just being a teacher more than anything, she just gave me the love to help children," May said. Swiggum is survived by her husband, Bob; children Lisa Finkel, Pam May, Jay Swiggum, Nikki Cloutier and Mark Swiggum; brother Jim Colletti, 12 grandchildren and four great-grandchildren. A celebration service will be held for Swiggum at 3 p.m. on Thursday, March 21, at the Cremation Society of Minnesota in Edina. 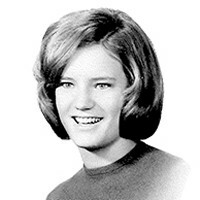 Nancy Stimson Crawford was Class of 1966. She was a Parkette, a Minnesota Vikings Cheerleader, and a Flight Attendant with Nancee Wright for Northwest. As Nancee Wright said on Facebook, "Her humor was hysterical, her laugh contagious, her love for others endless. She has been given another set of wings. RIParadise my friend." Peggy was the most beautiful, sweet, talented, and loved person and we all miss her very much. It was such a huge shock for us to lose one of our own to cancer in high school so I think a lot of us were affected by it for many years afterward. Rori (Wilensky) Eisenberg passed away on April 10, 2012, after a long battle with diffuse scleroderma. She is survived by her husband, Jeffrey, of Plymouth; son, Trenton, of Minneapolis; daughter, Jaci, of Geneva, Switzerland; her sister, Heidi Wilensky & her partner, John Martin; brother -and-sister-in-law Howie & Vicki (Eisenberg) Londer, and their extended family. Rori was preceded in death by her parents, Joan & Shale Wilensky; sister, Pami; in-laws, Robert & Harriet Eisenberg. Rori was a Parkette from 1974 through 1976, during which she was a Pom-Pom Girl and a Unit Leader. A life-long Vikings fan, Rori loved dancing for them at the Metropolitan Stadium, and always had fond memories of the Panama Trip. Married to Jeff in 1979, they had Trent and Jaci in the following few years. Family was paramount to Rori – as the bookkeeper in the family business, she juggled her son’s fledgling computer business and her daughter’s dance lessons, all while making a homemade dinner each and every night. Rori loved her pets very much – many have said they would want to come back as one of her pets! She loved spoiling her family rotten with her time and energy. Rori faced her diagnosis bravely, with her head high, and more concerned about others than she was about herself. She is remembered fondly for her selflessness and iron will. Cindy Kunin was a Parkette from 1967-1970. She was a Pom Pom Girl and Unit Leader and she absolutely LOVED her time as a Parkette--it meant the world to her! Cindy was beautiful, talented and fun loving and the most amazing and devoted sister, daughter, friend, wife, mother and grandmother. We miss her beyond belief every single day and it's impossible to comprehend that she won't be on that football field with us on November 20--she would have enjoyed reconnecting and dancing with all of you so much. Let's all dance in Cindy's honor! Ginsberg, Cynthia Kunin age 57, of Minneapolis, died peacefully at home surrounded by her family after a courageous battle with uterine cancer. Survived by husband, David Ginsberg; children, Andrew (Emily), Todd, Adam, and Charles Ginsberg; grandson, Ethan and Eli; parents, Beverly & Paul Kunin; sisters, Jennifer Kunin and Wendi Kunin Tanner (Kenneth); mother-in-law and father-in-law, Doris & Ted Ginsberg; brothers-in-law, Gordon (Kate), and Joel (Sara) Ginsberg; nieces and nephews, Sam, Josh, Brody, Miya, Dana, Jessica, and Amanda; and a powerful & devoted circle of friends. The family is so thankful for their love and help. Everyone who knew Cindy will miss her smile, her caring nature, her kindness and her love. I miss my cousin Cindy....she was a role model to me and coached me when I auditioned for the Parkettes. She had a huge heart. I'm dancing in her honor. Dear Cindy ready to board our Pan Am flight to Europe April 4, 1968. Her spirit, warm heart and sense of humor always showed through in her beauty. She was a wonderful friend to many of us and is missed. She had a wonderful laugh and curiosity for life. Mrs. Libby was the Founder of the Parkettes back in 1956. She was strict and determined, and gave us the structure to become our best. She was like a second mother to some of us, teaching us lessons that we would use throughout our lives. We lost her too soon, during our spring trip in 1970, and I wish more girls had been given the gift of knowing her and growing under her tutelage. Mary Lou was a little firecracker who was filled with love, laughter and extreme enthusiasm in everything she did, but mostly shined through like a sparkling star when she danced as a Lakerette and Parkette from 1957-1959. She was the beloved daughter of Frank & Lois Kuhn, devoted wife of Tom Siebold, mother of Tom Jr. and Emily, grandmother of 4 and loving sister of Frank Jr and Vicki. She is missed by many, but none more than her family. In loving memory of our Parkette "sister", Annie. She always had a smile on her face and a twinkle in her eye. We miss you, dear friend! The Parkette girls-Class of 1966. Squires,Annemarie, passed away at age 63 on June 23,2012. Survived by her sons: Michael"Mick"Miller(Christy) and Daniel Miller. Grandchildren Kelsi,Danielle,and Lucy; sister Kathy, extended family and many friends. Preceded in death by her brother, Chuck. Always remember her smiling face and eyes that twinkled with just a bit of mischeif! The girls will make you proud, Annie! We went to grade school together-enjoying ice skating and Brownies. Anne lost her mom at a young age. Later her brother as well as herself rom the devastation of Huntington's disease. She had lively spirit and was a lot of fun!! We'll be dancing for you, Annie!! Janelle passed away from Melanoma. She was a bright ray of sunshine and was loved by everyone who knew her. She loved to dance and truely enjoyed being a Parkette and Minnesota Vikings Cheerleader, class of 1980. Janelle danced and cheered next to me in Unit 4, for two years. She was a sweet person. I was lucky to know her. A person knows another person in a special kind of way, when their right next to you in a dance line. I wish I had a better picture.